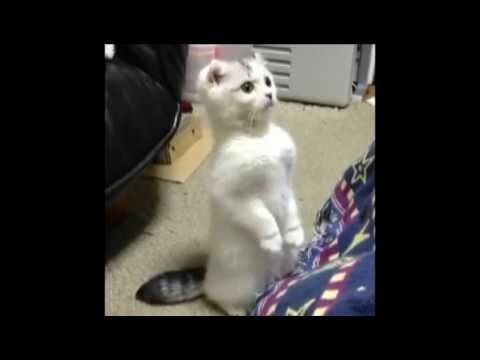 There are 12 cat videos tagged with standing. Strawberry Princess is a Napoleon kitten, which is part Munchkin, part Persian. 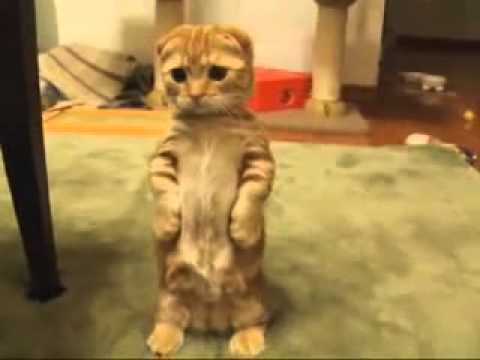 She has the cutest meow and is just so adorable when she stands on two legs to talk to her owner. 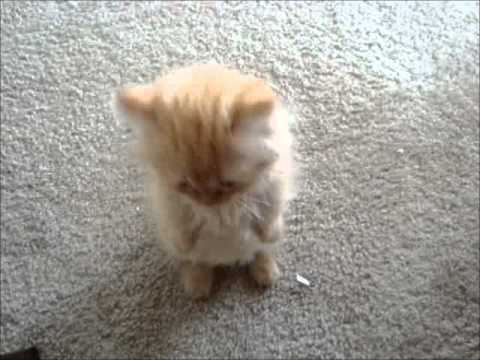 Takeda, an orange Scottish Fold cat stands to try and catch his toy. He stands up for almost the entire video, very impressive! Though he's not the best at catching his toy, he gets distracted and seems to forget about it. 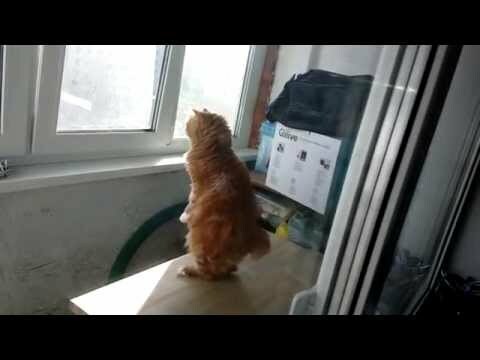 This gorgeous Kurilian Bobtail cat stands on two legs to look out the window. 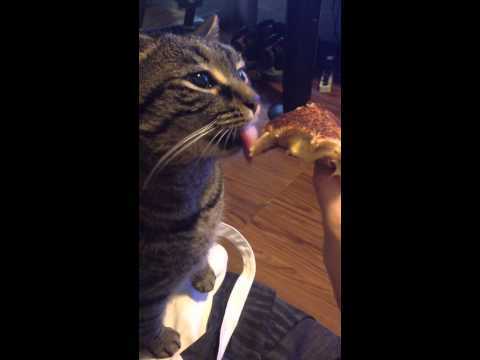 This funny tabby seems to not understand that he needs to bite the grilled cheese sandwich, not just lick it! 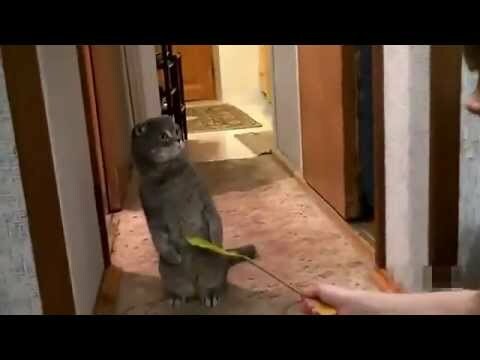 This adorable Scottish Fold kitty has its playtime interrupted by a doorbell ringing. 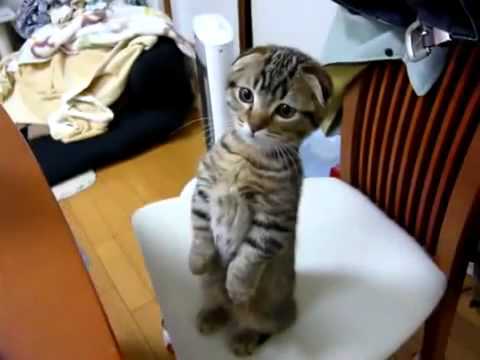 It's so curious that it tries to look out the window by standing up! Definitely a site to see.